You’re one busy contractor. You hardly find time in your day to make it from one appointment to the next, let alone sit in your office and mull over your next major marketing campaign. While it’s a great problem to have, it can come back to bite you if you don’t keep your pipeline filled to capacity. 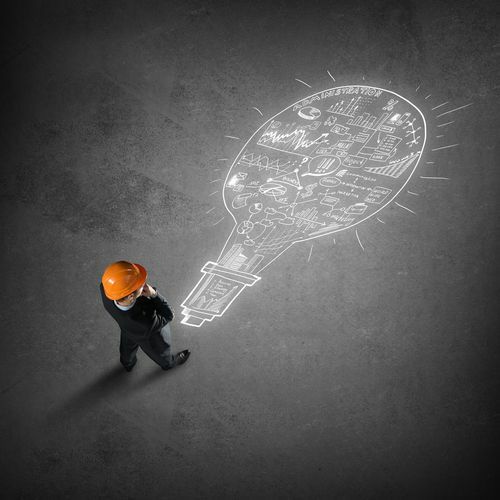 To help you out, we’ve compiled these inbound marketing tips that are perfect for the busy contractor! 1. Start with a list. You’re not likely to get anything done if you’re trying to get everything done. Write down everything you’re trying to accomplish and what tasks you need to do to accomplish your goals. Once your list is complete, prioritize your tasks, so they’re organized. For bigger projects, break them down into monthly and weekly goals to make them easier to manage. An organized to-do list will help you actually start crossing stuff off. 2. Set time aside. Before your customers’ appointments consume all of the space on your calendar, set aside specific blocks of time when you plan to work on your contractor marketing efforts. This will help you maintain databases, measure metrics, and have meetings with people who could help propel your inbound marketing to the next level. 3. Write one blog a week (or hire a content writer to do this for you). To remain competitive, you have to make a regular appearance to your public at large. A weekly blog will not only help keep you visible to your readers but also establish you as an authority figure in your industry and help Google find you more easily, too. 4. Optimize high-performing landing pages. If you already have landing pages that are getting hits, work with this. Remove navigation, create a compelling CTA, and make sure these pages are shareable. 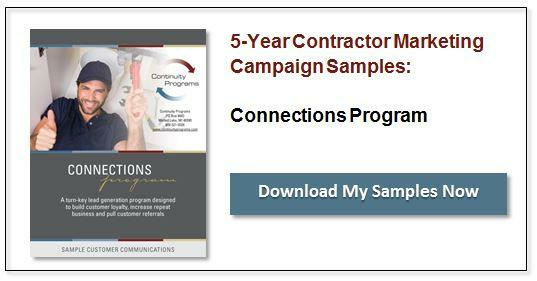 At Continuity Programs, we create marketing strategies for contractor growth. Schedule a demo to learn more and be sure to browse our website for more contractor marketing resources!